Qmobile new smartphone with latest features packed in very beautiful body. 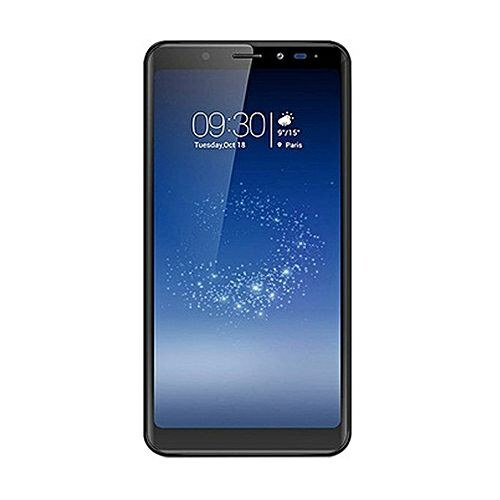 QMobile QInfinity E Lite is latest mobile phone by qmobile from Qinfinity series thats specifications will blow your mind because this QMobile QInfinity E Lite have best hardware fixed in its amazing body shape. it have 1 GB RAM. for sure that is much low but this enough in Rupees 9100. Yes you read right QMobile QInfinity E Lite price in pakistan is Rs. 9100 Only that is wonderful. Qmobile always come with smartphone which have low rates and have better and awesome features. QMobile QInfinity E Lite have 5.5 inches IPS display screen with 16M colors that makes your Qinfinity E lite more bright and shining. QMobile QInfinity E Lite cameras are awesome that you will love it. its front and back camera is 5 Mega pixels. You can take photos, shot videos and make vlogs for your youtbue channel. QMobile QInfinity E Lite will provide you better experience in Video calling with your friends and loved ones. QMobile QInfinity E Lite specifications are written in below that you can check online from here. Having dual sim QMobile QInfinity E Lite is here to provide you with multi tasking and large memory size of 16 GB built in but you can extend it with SD card. You can also enhance your photo quality with LED flash light that is installed in mobile. You can experience faster internet browsing with this QMobile QInfinity E Lite because this smartphone supports 4G LTE internet. You can also share internet with your buddies with its hotspot option.